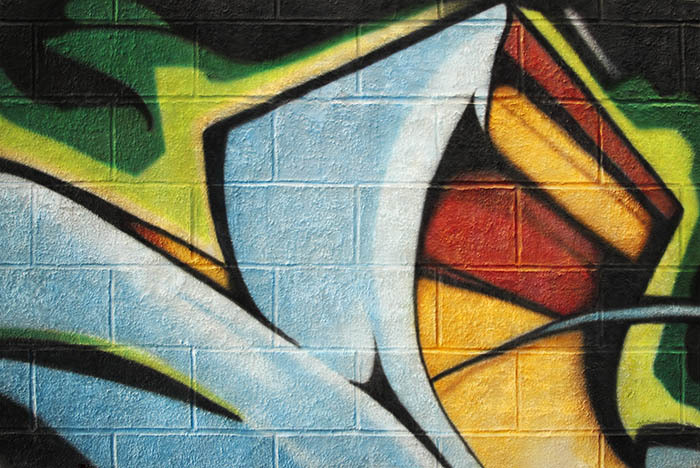 Graffiti at its best is a perfect combination of abstract design and surface texture. I am often inspired by a sensational graffiti tag and often choose a small portion of it to incorporate into my paintings. This particular graffiti is by MSK, my ultimate favorite graffiti artist. I chose just a tip of one of his letters, and voila—something of pure abstraction. As you can see, part of my process is with an airbrush. I had never used this tool during my wildlife art days, but it works perfectly for my cinder block walls. I often start with brush work, then airbrush, and finally brush again. 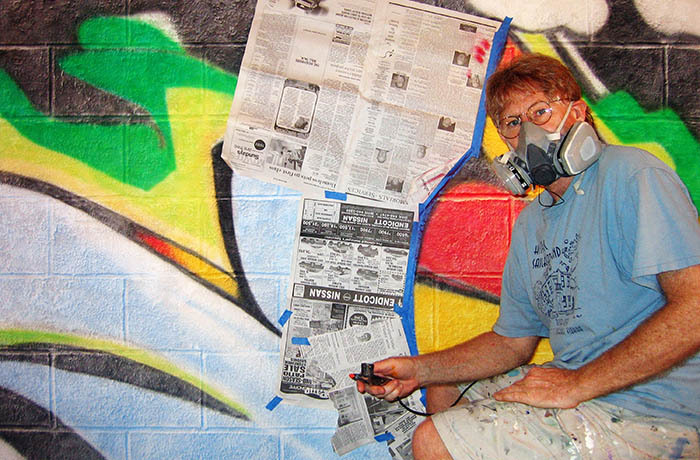 I had always thought that air brushing was "cheating," but it takes the same amount of skill. An airbrush will not make you a good artist. It's another tool in the artist's arsenal. The trick is not to overuse it. Do you have an idea that you want to express in one of my paintings? I love commissions that are a collaboration between collector and artist. Some of my best paintings were such collaborations. Don't be shy. Lets do a painting together. Much love.